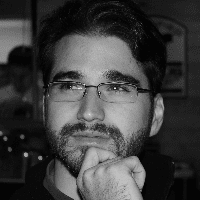 Tom DuPont .NET: TypeScript Definition Files on NuGet: Always have the latest and greatest IntelliSense! 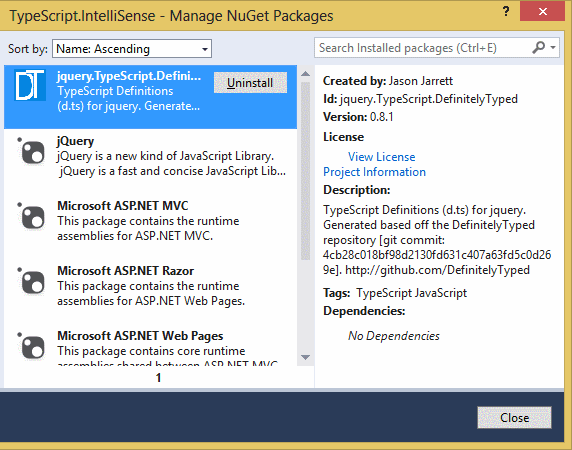 TypeScript Definition Files on NuGet: Always have the latest and greatest IntelliSense! The strongly typed nature of TypeScript offers the potential for amazing IntelliSense! The best thing about the open source community: whenever someone has a great idea, other people gladly line up to help improve it. To that end people have forked Boris's DefinitelyTyped, created NuGet packages, and automated their deployment! 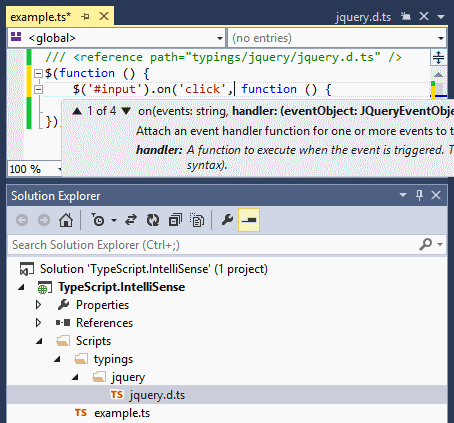 ...add a reference tag to your file, and start enjoying full jQuery IntelliSense!